NICK AND PANCHO – REBELS WITH A SERVE: He blasts, he flicks, he broods. He’s Nick. He combines flash power with a jazzy spontaneity like no other player ever. Whoosh – he slaps forehands and blasts second serves that move like lightning. He’s a free spirit who crosses lines, yet remains authentic. He splashes charisma and is his own man. Yes, there are hints of McEnroe’s temper and Connors’ punishing bluntness. More than any other player, he brings to mind an ornery outsider, a legend with a massive serve and a chip on his considerable shoulder – Pancho Gonzales. But tennis hasn’t talked about the once-dominant American star of Mexican heritage for eons. In contrast, we’ll be talking about Kyrgios, the compelling Australian with Greek and Malaysian roots, for years. Buckle your seat belt and enjoy what certainly will be a fascinating ride. 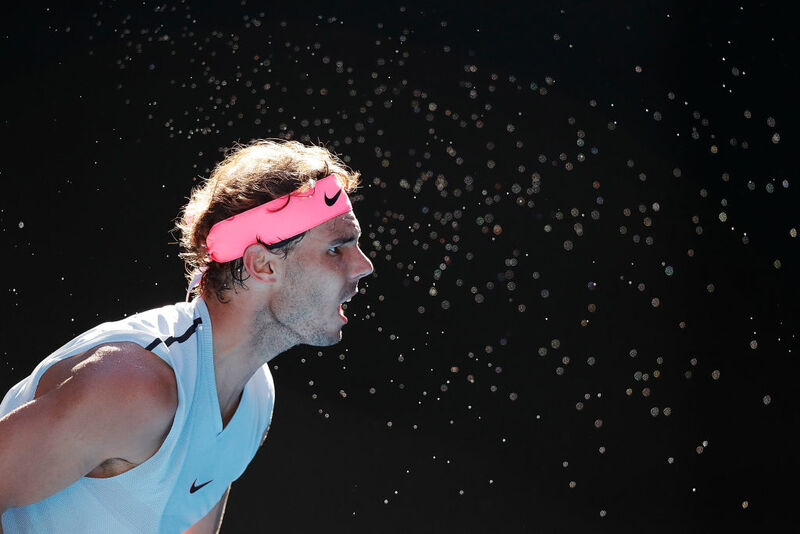 BIG DAYS FOR LITTLE PLAYERS: The women’s match of the tourney was between 5’1″ Lauren Davis and 5’5″ Simona Halep – and 5’7″ Diego Schwartzman battled gallantly before falling in four captivating sets to Nadal. A CURIOUS QUESTION: A reporter asked Caroline Wozniacki if tennis – with all its new clocks and strict regulations – is in danger of losing its soul. HEY KID, LISTEN TO YOUR ROGER: He has crazy good skills, big size, significant wins, an extraordinary tennis family, no-nonsense discipline and a high ranking, but Alexander Zverev has had trouble going deep into Slams. His best result? The quarters at last year’s Wimbledon. Not bad, you say. But tennis is a hard-edged expectations racket, and for a while the 6’6″ German has been touted as the one to replace Rafa and Roger. Federer, for his part, spoke with Zverev after his 6-0 loss in the fifth to Korean Hyeon Chung. The Swiss comforted the fallen No. 4 seed, and essentially told him to chill. 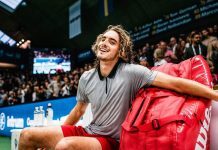 The Swiss reminded Sascha that it took a long time to break through and he should lower the bar and, for now, set lesser goals than winning Slams. WHAT A DAY FOR KOREA: Hyeon Chung shocked No. 4 seed Sascha Zverev to become the first Korean to reach the fourth round of the Aussie Open, and the International Olympic Committee announced a historic breakthrough. On February 9th, athletes from North and South Korea will march into the Olympic Stadium under a united banner. Sports do bring this little ol’ world together. “Oh mama, are we seeing some tennis.” – Broadcaster Craig Gabriel near the end of the Simona Halep-Lauren Davis classic. GO FIGURE: The first two seeds in the women’s draw, Halep and Wozniacki, have survived match points…Korean Hyeon Chung beat No. 4 seed Mischa Zverev in the first round and his brother Sascha in the third round…Simona Halep not only doesn’t have a Slam, she doesn’t have a clothes contract…Aussies have the best nicknames in tennis. Our new fave is “Grothy” for Sam Groth. Inside Tennis’ Australian writer Tanya Liesegang tells us, “I always say, ‘Have a frothy for Grothy. '” A frothy is a beer. LOOK WHO’S WATCHING: Federer’s coaches often watch videos of his press conferences. RUSTY’S NOT SO RUSTY: Guess what – the sheriff is back in town. Lleyton (“I refuse to go away”) Hewitt is still competing. Rusty and his fellow Aussie, the big-serving, set-to-retire Sam Groth, beat the reigning US Open champs Jean-Julien Roger and Horia Tecau and then advanced to the quarterfinals due to a walkover. And little has changed for the feisty-as-ever Hewitt, whom the crowds now adore. Of course, now he’s older, and, yes, that’s his look-alike son in the front row cheering dad on. BTW: Lleyton’s soul bro, the equally feisty Jimmy Connors, made his great comeback run at his home Slam when he was 39 and his run was to the US Open singles semis. Lleyton’s a baby – just 36.